North Korea's ambassador to Australia warned Sunday that international attempts to halt his nation's missile tests could lead to war. In a letter to The Sunday Herald Sun newspaper in the southern city of Melbourne, Ambassador Chon Jae Hong defended last week's missile launches as "routine military exercises" aimed at increasing the nation's "capacity for self-defense." 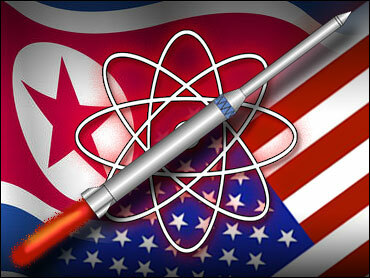 He said North Korean's missile program and tests were key to keeping the balance of force in northeast Asia. "It is a lesson taught by history and a stark reality of international relations, proven by the Iraqi crisis, that the upsetting of the balance of force is bound to create instability and spark even a war," Chon said. North Korea "will have no option but to take stronger physical actions of other forms, should any country dare take issue with the exercises and put pressure upon it," he added. The tests have rattled the region and beyond. One of the missiles was believed capable of reaching U.S. shores, while the others could easily reach Japan. North Korea stunned Tokyo in 1998 by firing a missile over the archipelago. Prime Minister John Howard has condemned the seven missile tests as provocative and endorsed calls for the U.N. Security Council to take action. Japan has proposed a U.N. Security Council resolution calling for sanctions against Pyongyang's missile and weapons of mass destruction programs. The United States, Britain and France support it but the other two veto-empowered members of the council, China and Russia, are opposed. Diplomatic efforts to broker a breakthrough gathered speed Sunday, when Japanese Foreign Minister Taro Aso saying Russia may abstain from voting on the resolution, isolating China as the sole country voicing opposition. "China will be backed into a corner," Aso said on the TV Asahi morning talk show Sunday Project. "It's only common sense not to do that." Nine of 15 votes on the Security Council are needed to pass the resolution. Supporters decided at a meeting Friday afternoon not to call for a vote over the weekend after some council members asked for more time to consider the resolution.